Hello, and welcome. My name is Chris Faison and I am freelance artist and illustrator looking to create the world he has only dreamed of...with art! Okay now that I got that corny line out of the way: I am here to make things. Specifically art and illustrations, and recently a webcomic. Well see, as much as I love creating and having time to do that, I unfortunately cannot simply do it for free. There is this whole principle in like Business that nothing comes for free. What time you use on one thing could be used on something else. Right now I have a job and I am thankful for the income, but I would love to become a career artist and survive off of that. Patreon is a great way to sort of mitigate some financial responsibility while upholding a sort of standard on myself to create. It allows for exclusive content to be created for people willing to pay for that. In short it is a perfect way for content creators to build and foster relationships with their followers. Well how does this work? Patreon has a very simple system. Patreon is a subscription based platform that allows for people to pledge support to a content creator based on tiers. If you were to pledge to the $1 tier, you will be given access to that specific set of rewards. 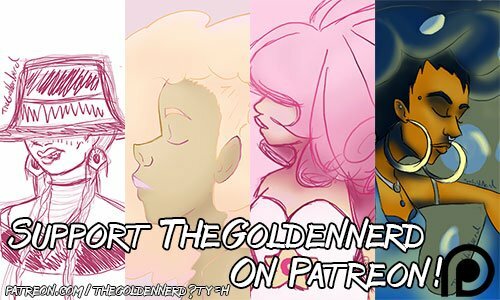 If you were to pledge the $5 tier, you will be given access to more exclusive content as well as the lower tiers. Payments are processed in the first week of every month, so certain content will not be made available until AFTER I have been notified of payment. If you have gotten this far that means you have not been completely turned off by anything I have said. And I thank you for that. Any and every pledge is welcomed. I am fun, learning, and wanting to share my ideas and work to the world. With your pledge I can make that happen as often as possible! Polls for what to draw! A weekly and monthly newsletter! Downloadable Wallpaper for your tech! Exclusive pages of Gatekeeper seen before $1 tier and general public. MINI ART PACKAGE!!! INCLUDES: Two random prints, a postcard, and other goodies! Art package! One full art piece original! Two random prints (5x7), and other various goodies! First off if we have hit this goal, THANK YOU. Reaching this goal means I will be able to afford to live. I am currently employed, however not making enough to be considered a cost of living. This money will at least help offset some of my financial needs, while also allowing me to afford new things for my art career. This includes but is not limited to: better equipment for filming and taking pictures of my art, new art supplies. I also want the Adobe suite, which will allow me to have full creative control and direction of my content. Having worked on it for free in college, you get used to the finer things in life.